The first trains on Phase 2 tracks that will be used by riders when the line opens in 2020 will roll around 1 a.m. Wednesday as part of initial tests that mark a major milestone, the Metropolitan Washington Airports Authority told WTOP. WASHINGTON — For the first time, trains will run on the newest Silver Line tracks overnight, including through Dulles International Airport. To start, there will be two pairs of cars running from the future Innovation Center Station through the Dulles International Airport station to the end of the elevated tracks west of the airport. The Innovation Center Station is just across Route 28 from the airport. The two trains are scheduled to move from Wiehle-Reston East to Innovation Center Station at around 15 mph, and are scheduled to return by 4 a.m. Depending on timing, the second set of cars could remain on the tracks all day Wednesday and be returned Wednesday night. The cars will be pushed there and back by a small diesel locomotive, since a primary purpose of these first rail car movements is to “polish” the third rail before it is electrified. The cars’ contact with the third rail can remove any rust that can accumulate on rails that are not frequently used. The third rail will be electrified in the area of primary testing. It is the first step toward running trains using the electrified third rail as part of critical tests that must be completed before the line can eventually be transferred to Metro for final testing and training required for the second phase of the line from Wiehle-Reston East to Loudoun County to open. 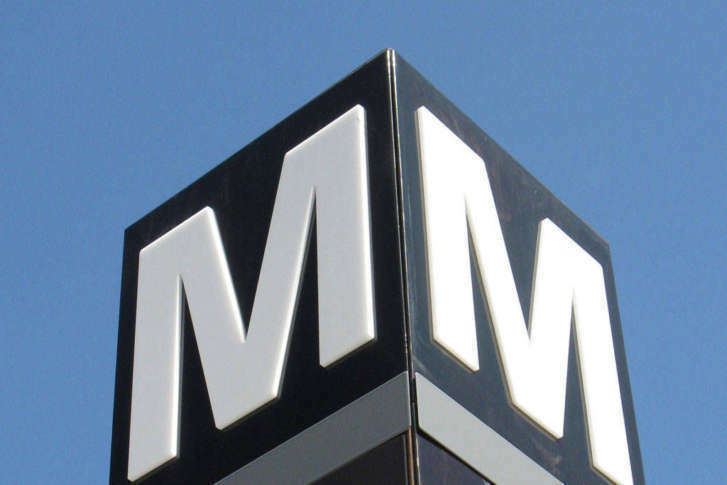 Next, two additional trains will be brought in for safe-braking tests to officially start the “dynamic testing” process that must be completed before riders can board, Metropolitan Washington Airports Authority Senior Vice President Charles Stark said in a statement. This phase of the testing process is expected to take several months.